As a growing number of medical facilities migrate from film-based to digital imaging, one of the last frontiers to incorporate digital imaging technology has been the surgical suite. St. Mary's/Duluth Clinic Health System (SMDC)-a group of 4 hospitals and 20 clinics serving patients in northern Minnesota, Wisconsin, and Michigan- recently found a way to address this issue by bringing full picture archiving and communication system (PACS) functionality into the operating rooms (ORs). According to Eric Hill, Manager of Desktop and Mobile Systems at SMDC, placing PACS in the OR had been part of the initial PACS deployment plan when the organization first installed the UltraVisual PACS system from Emageon (Birmingham, AL). "Once we started to eliminate the film from our practice," he said, "we wanted to ensure that all of the providers who were treating patients, either surgically or within the exam rooms, had the tools and mechanisms in place to have images delivered to them in good quality." Accomplishing this goal, however, presented several challenges. Hill and his colleagues first conducted research and spoke to vendors and other healthcare organizations looking for suggestions as to how to best implement PACS in the surgical suites. "We never really got a good consistent answer," he noted. "They were all struggling with the decisions themselves, such as what type of display to use, how to make it usable for the physician, and how to provide good-quality images." Working with their diagnostic reading station vendor, Richardson Electronics (LaFox, IL), the group decided to develop a pilot study. "We recruited some of our neurosurgeons, vascular surgeons, and orthopedic surgeons to trial this with us," Hill explained. "We had a couple of meetings in which we talked about some of the different products that were available. We talked a lot about workflow because workflow really was the key to making this a success. We had to understand how the surgeons were operating and what the variables were: Left versus right side of the table, where they were and where they would want the monitors to be, how far away they would be from the monitor to help determine monitor size, and whether they needed 1 or 2 monitors or more." These early meetings led to the decision to test 2 options: A mobile cart setup and a fixed, large-screen monitor option. The mobile cart setup included two 19-inch monitors placed on a mobile cart that could be plugged into a data drop and placed anywhere within the surgical area outside the sterile field (Figure 1). The fixed-monitor workstation option consisted of a 40-inch monitor mounted on an articulating arm for image viewing, along with a workstation and a 19-inch monitor for workflow management (Figure 2). The large monitor could be extended approximately 3 feet from the wall for easier viewing and could be stored tight against the wall when not in use. "We wired up 4 different OR suites to test this in," continued Hill. "The fixed monitor was placed in the orthopedic/ trauma room, and the mobile carts were placed in 3 of the neurosurgery and vascular surgery rooms." Approximately 2 weeks before the "go live" date, the surgeons, as well as the nurses and OR support staff, were trained in the use of the system. Workstations were also placed in the doctors' dictation area and the doctors' lounge to allow the staff to practice with the system. An important factor in the success of this project, Hill noted, was the surgeon's comfort level with the technology prior to using it live in the OR. In addition to adequate training on the system, PACS workstations were installed in the surgical examination rooms prior to installation in the OR. This gave the surgeons additional opportunities to work with the system and become comfortable with it. Then, when a surgeon first went live with the system in the OR, the system trainer was in the OR to provide any needed assistance. "From the day we put the monitors in the ORs, the success with the project was huge," said Hill, noting that the users liked aspects of both systems. 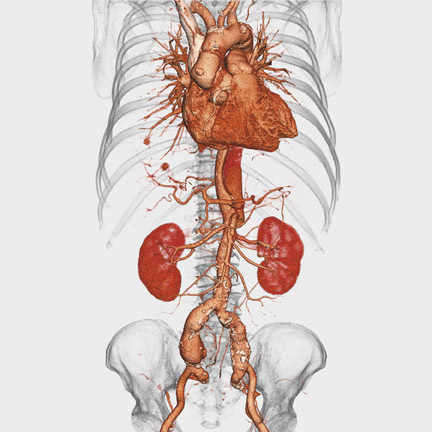 "They loved the portability of the mobile units, while a lot of the vascular and neurosurgeons liked the 40-inch monitor because they could view 3-dimensional (3D) reconstructions on it." "The 40-inch monitor gave the surgeons really good 'real estate' for viewing images. It gave them a lot of options: They could do 1-up, or 2up, or 3-over-3, or 4-over-4 type scenarios. It presented the image in such a large size that the surgeons didn't have to get close. With these large 40-inch monitors, in fact, the further away you are from them, the better the images look-better than when you are right on top of them." They also found that some surgeons, particularly the orthopedic surgeons, did not necessarily need a monitor as large as the 40-inch one but could get by with the mobile cart. "What we liked about the mobile cart was that if we ever had a trauma in the trauma room and had a couple of surgeons working in there at the same time, the mobile cart gave us the ability to bring in another workstation and have 2 surgeons working at the same time, looking at different images," noted Hill. One area of concern was the possibility of system downtime. "If a surgeon wanted to have a backup mechanism," Hill explained, "we burned the images for each surgery onto a CD and that CD would be taken to the OR as a backup. It costs us <$1 to burn a CD-much less than it would cost to print many sheets of film to take to a case as a backup." Based on the results of the pilot study, SMDC has decided to include both systems in the deployment phase of the project throughout the group's 3 hospitals and surgical centers. "We are going to have a total of 9 fixed workstations, which will be in a combination of a few of the orthopedic rooms, all the neurosurgical rooms, all the vascular rooms, and a couple of the general surgery rooms," said Hill. "All the other ORs will be serviced by a total of 9 mobile carts. We based these numbers on workload analysis and the requests that we have been receiving." Hill estimates that the pilot study cost about $20,000, including the expenditures for cabling the ORs. Full implementation is expected to have a price tag of approximately $120,000. Once the entire system is up and running, Hill does not expect any significant ongoing costs other than a service agreement for the large-screen monitors. "They are such an expensive item," he noted, "It's not one of those items that we can just stock. Therefore, we purchased a maintenance agreement with the vendor to supply a 24-hour turnaround-basically a hot swap-so that if we have one that breaks, they'll have another one in our hands within 24 hours." "For the surgeons, the biggest change was how they used to leave the patient to look at the film at the viewbox," said Hill. "Now they can stay with the patient and view the image. 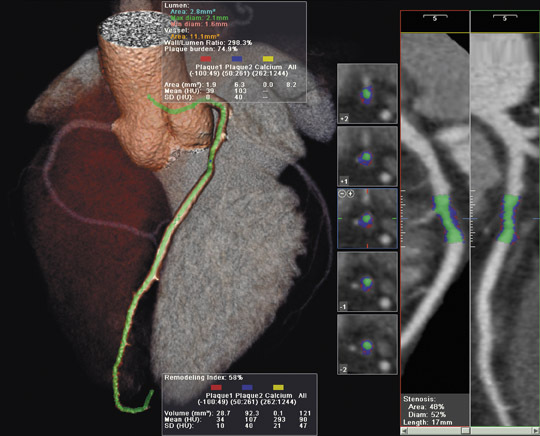 In addition, they now have a lot more information available at their fingertips because of the tools that come with PACS, such as magnification, contrast, leveling, and even some of the 3D reconstructions that can be done on the fly with this system. It gives the surgeons a lot more information. It also gives the surgeon the chance, if he or she has a question about something on the image, to call the radiologist and instantly consult while both are viewing the same image on the PACS." In addition, he noted that it has eliminated the need to courier films to and from the OR as well as the problem of lost or misplaced films. For others thinking about bringing PACS to the OR, Hill offers the following advice, "Proper planning and training upfront will go a long way. I think what made us such a success was that everybody was comfortable using the system and the product prior to implementing it in the surgical environment. With them being comfortable and not having any apprehensions with the software or workflow, it really made it go a lot more smoothly, and it made everyone adapt much more quickly." "The staff was very excited about this," Hill concluded, "because they saw it as a way of treating their patients better and making their jobs easier." Technology and Industry: Bringing PACS to the operating suite. Appl Radiol.